Come visit our state of the art office with a family feel and meet our fun and caring team right in the heart of Queen Creek. At Queen Creek Dental we want your smile to be healthy and beautiful! Dr. Mullenaux and his qualified team provide complete and personalized dental care for the whole family. Anything from preventative teeth cleanings and exams to your restorative and cosmetic treatment needs, we provide quality dental treatment that are both comfortable and effective! Prevention begins with Dental Hygiene. We use the latest in comfort and care for your teeth and gums to keep your best smile. Cosmetic dentistry includes veneers, bonding, crowns, bridges and even whitening! Learn more on how we can give you the smile you have always desired. Do you wish your smile could be whiter? With today’s teeth whitening technology, we can give your smile that bright white look. Invisalign ® is the clear alternative to metal braces for adults, kids and teens. It’s a virtually invisible way to straighten you teeth. We use high quality titanium implants to replace missing teeth or help you achieve your best smile. Root canal therapy is a common procedure to save your tooth when the nerve of a tooth is affected by decay or infection. 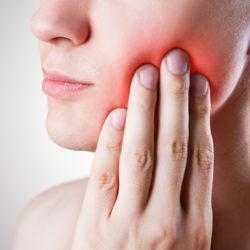 Wisdom teeth that are not properly position or do not have enough room to erupt can cause serious problems for your surrounding teeth and tissues. Learn Why! Crowns and Veneers are used to restore damaged teeth or achieve a cosmetic smile you have always wanted. Learn How! We are located right in the heart of Queen Creek on S. Ellsworth Rd. and Ocotillo Rd. 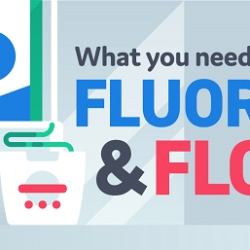 Fluoride and Floss – What You Need To Know!